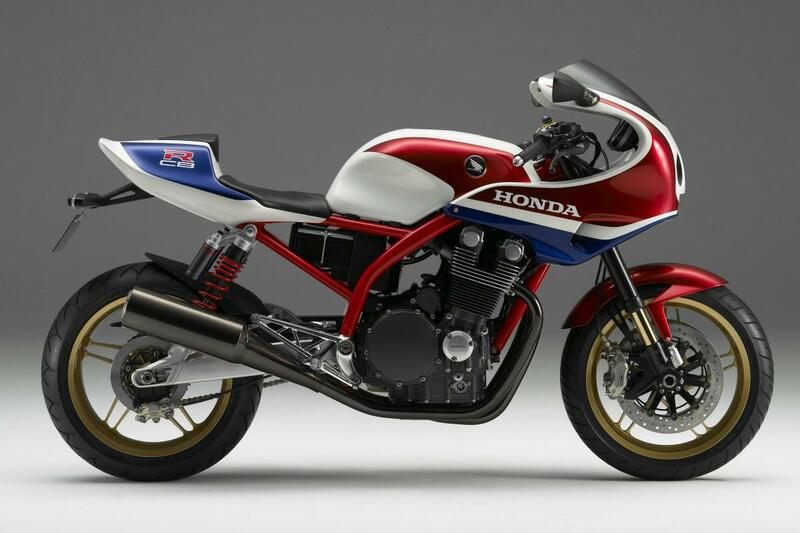 Is the CB1100R concept finally set to spawn a production machine? WE’RE telling tales out of school here but the latest hot rumour around the back of the bike sheds is that Honda might be digging out its 2007 CB1100R concept bike and reworking it into a production retro-sports machine. Japanese magazine Young Machine has gone with the tale on the front of its latest issue, which claims it’s scooped the Big H’s latest project, saying the new bike is headed for production as a belated response to the CB1100R concept’s huge popularity when it was revealed at the 2007 Tokyo show. At the time, there were strong rumours that the CB1100R was a production possibility. After all, it was based on the CB1100F – also officially a concept at the time, even though insiders openly admitted it was destined for production – and shared the same all-new, air-cooled four-cylinder engine. Unfortunately, the bike’s timing couldn’t have been worse; it was developed during a biking boom and revealed just as the worldwide economy crumbled. Now, with confidence finally starting to return to bike sales and an ever-stronger interest in bikes that provide an alternative to the traditional sports/naked/tourer/adventure/cruiser classes, it seems the idea is back on the agenda. We’re not sure why Honda would re-imagine the CB1100R as a CB900R, as Young Machine speculates. Perhaps de-stroking the CB1100F’s engine will provide a sportier, higher-revving experience. The magazine has mildly tweaked the bike’s appearance, adding RC213V-S bar-end mirrors instead of the concept’s more conventional ones and giving the brakes and some of the engine covers a splash of gold paint in homage to the 1981-83 CB1100R production bike. Is this rumour merely the crazed imaginings of a Japanese magazine, or something more substantial? 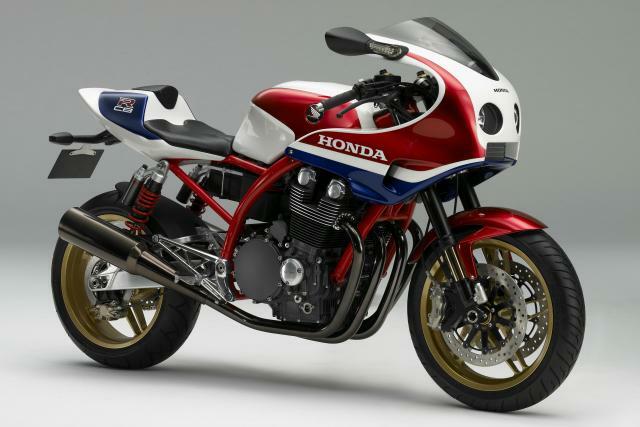 Young Machine’s record on its Japanese model scoops is pretty strong, and there’s no denying the premise that the CB1100R concept was a massively popular one. It’s also arguably a bike that could be developed relatively cheaply and easily if the CB1100F/CB1100EX is its basis. 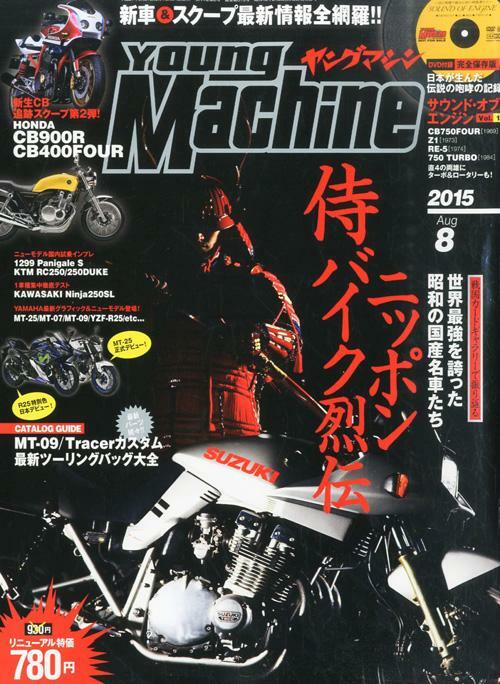 The same issue of Young Machine also speculates that Honda is working on a smaller CB400 Four, with CB1100EX-inspired looks and what appears to be another air-cooled engine, albeit with elements of the current water-cooled CB400 Super Four engine in the bottom end. Even if this bike does come to pass, we’d guess it would be a Japan-only model.